Summer weddings, maybe you’ve thought about one but decided against it. Here are 7 reasons you may want to think again. MYTH ONE – Wedding venues are too busy. Surprise! Here in Vermont our busiest season is Fall. MYTH TWO – The views aren’t breathtaking. 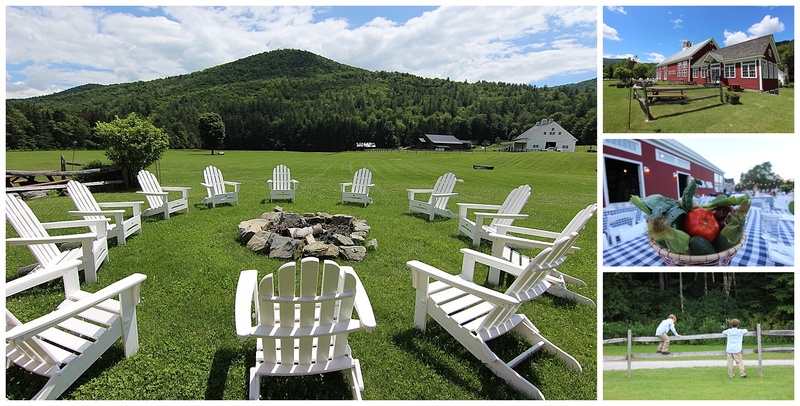 Stunning, lush, emerald green, and breathtaking are some of the words used to describe the summer views in Vermont. As many skiers and snowboarders who became permanent residents will tell you, they visited for the snow, they stayed for the summer. MYTH THREE – You can get good food anywhere anytime. MYTH FOUR – There’s nothing to do in Vermont. You’re kidding, right? Within 1o minutes of Riverside Farm you can find golfing, swimming, river tubing, prime mountain biking trails, hiking and more! Go 5 minutes further and enjoy a scenic gondola ride, mountain coaster or ATV tours. MYTH FIVE – Summer’s hard to schedule. 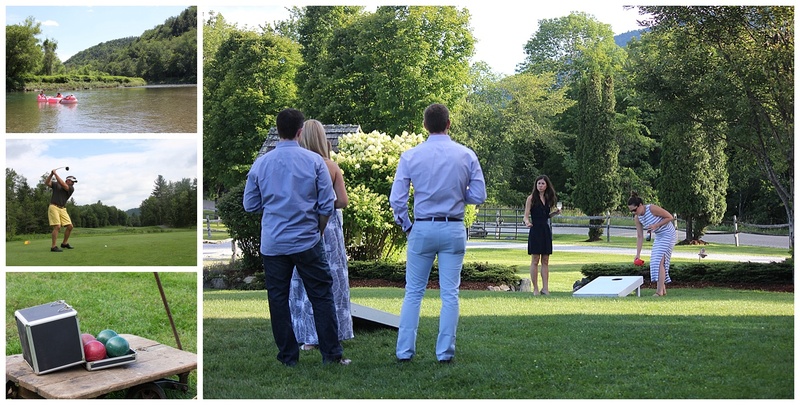 When you come to Riverside Farm you’re not just planning a day wedding, it’s a mini vacation for your guests. 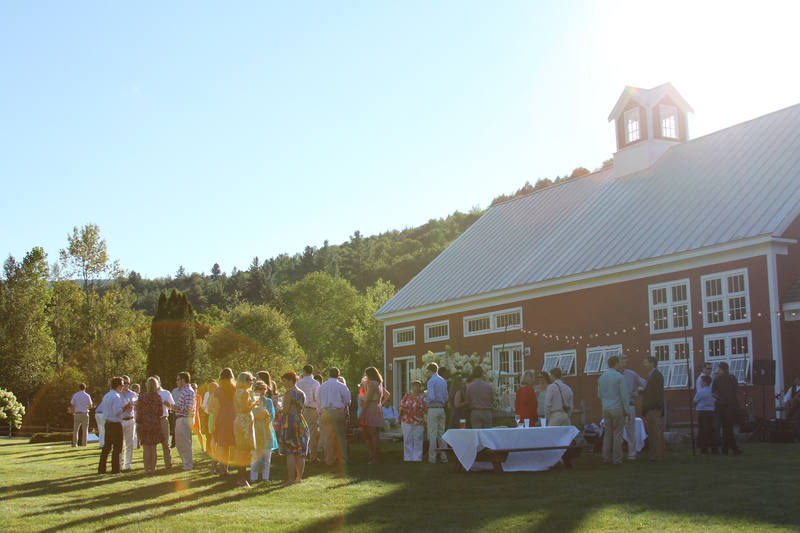 Summertime most people have more flexibility in their work and school schedules and a Vermont destination wedding fits right in. MYTH SIX – I don’t want to deal with summer traffic. For the most part driving in Vermont in the summer is a breeze. No matter what the season we think it’s worth the trip, but in summer the trip is a little easier. Winter can bring snow and ice, and fall brings guests who have to drive slowly to take in the foliage. MYTH SEVEN – Mornings all look alike. There is nothing like the vision of the mist draping the Vermont hills on a summer morning. You’ll just have to see if to understand. Follow those misty mornings with longer days and gorgeous starry nights.